Personalised learning is all about tailoring the training experience to make it more relevant for your audience. It’s one of the most powerful ways to engage your learners, and can make your training programme massively more successful! This comprehensive white paper will teach you everything you need to know about personalising your training programme! Why You Should Personalise Training For Your Learners And How To Do It! The Discovery Method - Does Your Content Speak Directly To Your Learners? Are You Delivering The Right Training To Your Audience? Is Your Training Delivery A Good Fit For Your Audience? xAPI - The Future Of Personalised Learning? Personalisation is something which marketers have used for years to boost consumer engagement and increase sales. Unfortunately, the world of professional development has been slow to catch on. It’s time for more of us in the world of learning and development to make things personal and start reaping the same benefits! We are living in times where the personal approach gets things done, in many fields of practice. That seems to be the case for eLearning, too. How can you argue with the 77% of L&D professionals and the 94% of businesses that expressed their opinion about the importance and positive effect of it. 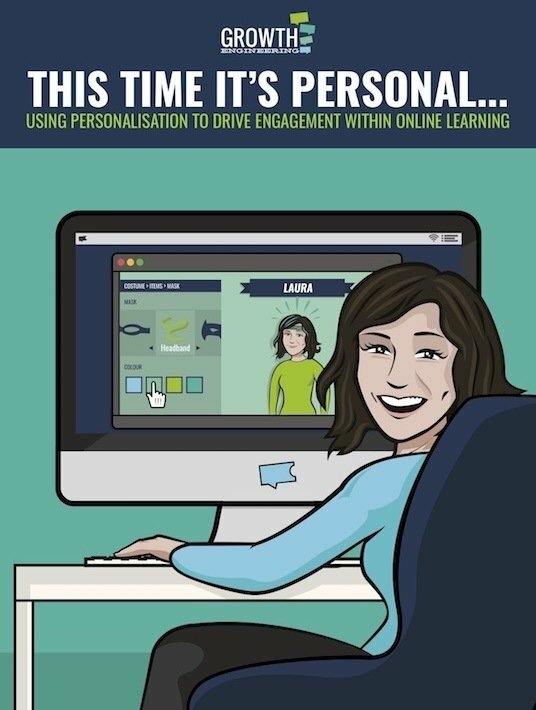 Learners appreciate it as well, so you better get right on reading this comprehensive eBook, on the many ways of implementing personalization in eLearning, and reaping the benefits for your organization.